The Amah Mutsun Tribe in Northern California is not federally recognized and receives no assistance from either the federal or state governments. In spite of this, our Tribe is determined to find a path that will allow us to fulfill our mandate from Creator and follow the path of our ancestors. We believe restoring our sacred ceremonies, language, songs, land management practices and more will allow healing for our members to find balance within our life and our world. We believe we must have healthy relationships with all things. This is especially important for our relationship with Mother Earth. 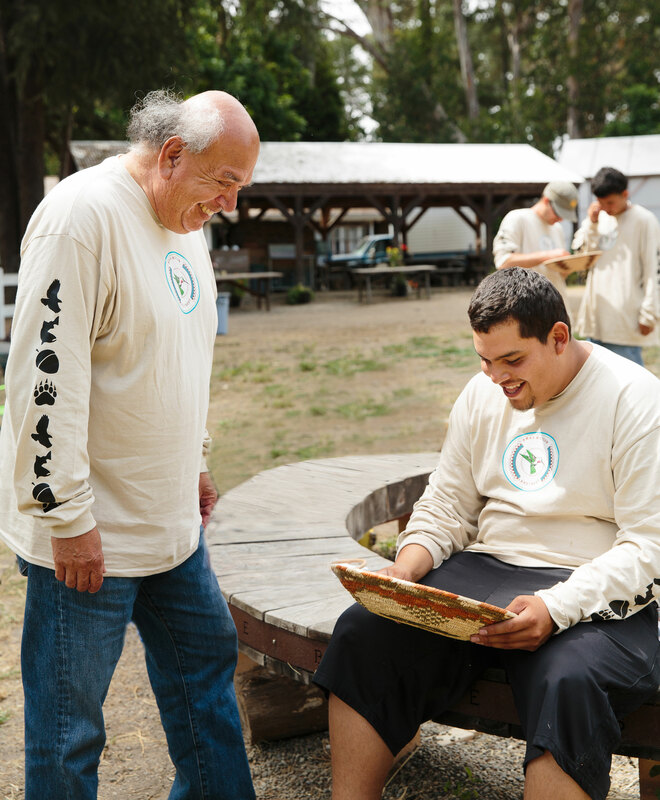 Recently our Tribe created the Amah Mutsun Land Trust to conserve and protect our sacred and sensitive sites and to relearn our indigenous knowledge so we can return to the path of our ancestors. We’ve created a two-year Mutsun Stewardship Corp to help our youth relearn our traditional ethnobotany, land stewardship knowledge, and to develop a healthy relationship with Mother Earth. Read the full story in the Saving Land article here. Valentin Lopez is chair of the Amah Mutsun Tribal Band.